Our Family Practice providers are concerned with the total health care of the individual and the family, and they are trained to diagnose and treat a wide variety of ailments in patients of all ages. Our family medicine physicians have received a broad range of training that includes internal medicine, pediatrics, obstetrics and gynecology, psychiatry, and geriatrics. 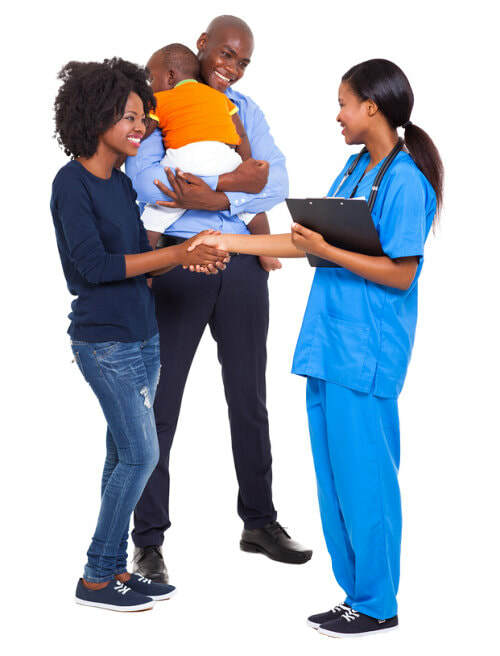 Our Family physicians possess unique attitudes, skills, and knowledge that qualify them to provide continuing and comprehensive medical care, health maintenance, and preventive services. Our federally qualified health center providers and staff receive medical liability malpractice under the Federal Public Health Service. These specialists are best qualified to serve as each patient’s advocate in all health-related matters. Special emphasis is placed on prevention and the primary care of entire families, utilizing consultations and community resources when appropriate.